A lighter fantasy retelling with a touch of feminist values. Big thank you to Flatiron Books for our copies in return for our honest reviews. Mina is just a teenager when her mother dies and her father, a magician, pays her no mind just to tell her later that her heart is actually made of glass and she owes him everything. Moving her to Whitespring Castle to marry her off so that they can live comfortably, she seeks the King's heart. Is becoming a stepmother to a child the King doesn't want her getting close to worth it? Lynet has been made out of snow by the magician but she wishes only to be like her stepmother, Mina. When the King makes Lynet the queen over Mina, it becomes a battle. There can only be one queen after all, and Mina's determined to have that spot. Pretty sure I'm going to be the unpopular opinion here. 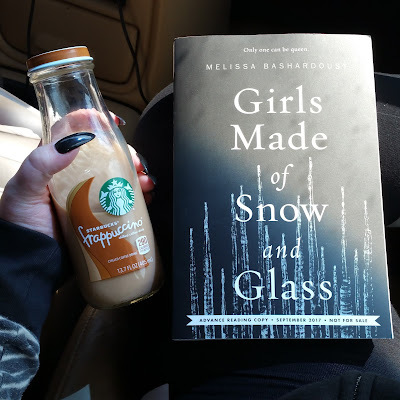 First, I rarely like retellings so it probably wasn't fair to the book, but I just can't stop myself from reading them because I just love fairy tales and the few that work are refreshing and I adore them! The feminist take on this story was intriguing and I was excited to see where the author would take the story in this way. 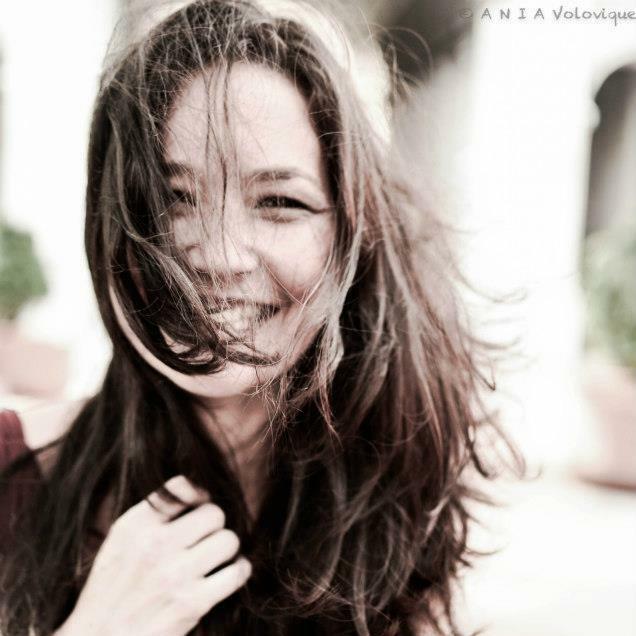 Fantastic that it pointed to beauty not being the end all to what a girl can offer. Also running to the theme of not letting you become an extension of the crap people in your life. But... I don't think this was really all that different than what you normally get from your every day fairy tale - just told in a slightly different way. I did think that the story got a bit dragged out and I found myself wanting to put the book down and not pick it back up. There was never a sense of urgency or any thing that... happened... it just felt like stuck on a loop that didn't quite get anywhere. I also thought the synopsis made it seem like it would be more of a darker retelling rather than this happy and hopeful one. One of my favorite things about fairy tales are the villains! For those of you that have followed some of my reviews and book interests, you'll know that I'm a huge fan of retellings. I love fairytales, so when an author decides to put a new spin on a classic I'm always anxious to see how it turns out! 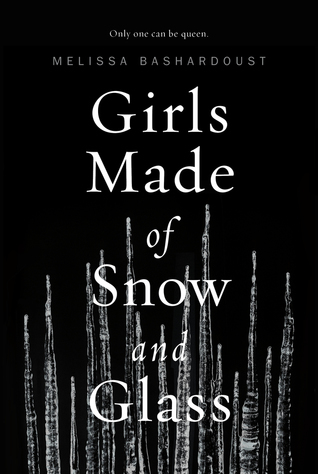 GIRLS MADE OF SNOW AND GLASS was said to be a feminist retelling of Snow White. I so badly wanted to love this book. When Mina is a teenager her mother dies and she is left with her vicious magician father. Mina stood out against the others, her heart never beat. A fact that she found normal, but in reality her father cut hers out for a glass one. Mina comes up with a plan upon arriving to Whitespring Castle - make the King fall in love with her, become Queen, and finally know what love is. The only downside? She'll have to become a stepmother. Lynet is 15 and is the spitting image of her late mother. 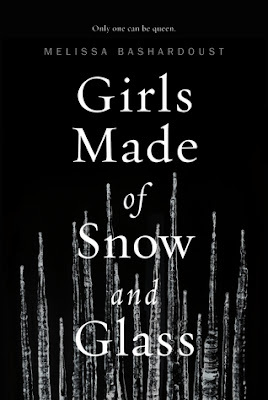 She soon learns that a magician was hired by her father, the King, to create her out of snow in the late Queen's image. Lynet looks up to her stepmother, Mina with adoration. However, once her father makes her Queen of the southern territories, Lynet soon learns that Mina will stop at nothing to be the only queen. There can only be one after all. So, loving the concept. I was very curious to see how the feminist spin would be included - I won't give that away. I so badly wanted to love this book. It was slow in parts and that made the story drag. This wasn't nearly as dark and twisted as I was anticipating. Overall, it was a good fairytale. It's a lighter retelling and I can see people enjoying this one! But if you're looking for a dark and twisted retelling, then this won't quite fit the bill. I give this one 3/5 stars!